MUSIC: IT’S THE HEIN PERE REMIX BABY! It’s been a whirlwind 8 months for Stanley Enow since the official release of “Hein Père” video shot by the renowned Shamak which has seen him on a steady journey upwards. During this period Stanley has won awards, met the first lady of Cameroon, sang infront of thousands of spectators, broken records and travelled far to engage with his fans outside Cameroon. As preparations are being made for the official release of the follow up video for released track “Tumbuboss Deluxe”, the artist has teamed up with South Africa’s fastest rising rap act F.A.B in a remix which puts yet again the debut single on centre stage and gives Cameroon another boost as a contender in the African entertainment industry. For those who have been on planet Mars these past months, “Hein Père” by Stanley Enow currently stands at over 410,000 views on youtube; a first and a huge record for a Cameroon based artist. Check out the awesome banger below which shows 2 equally talented Africa’s children. GOSSIP: IS STANLEY ENOW PADDLING SOPHY AIIDA’S LOVE BOAT ? Despite publicly proposing to tie knots with Lady Ponce and Kareyce Fotso , evident in his ”Hein pere” lyrics, Cameroonian rap superstar Stanley Enow is seemingly diverting his attention. The celeb was spotted in a love-coated mood during Mode Maison PR’s soiree at Lynk , Bonapriso on February 18th with New-York city-based Cameroonian Afro-pop diva and actress Sophy Aiida. NexDim actually witnessed Mode Maison PR’s 1st anniversary and an official marriage proposal. Thrilling the audience with a doze of his hit song, the rapper improvised ” Sophy Aiida I go marry you” infront of many celebrity witnesses followed by thunderous applause. Could they be ‘breaking it down’ hein pere or could it just be a ‘tumbutumbu game’ ? . Incredibly beautiful Sophy Aiida and Stanley might be a sweet celebrity match if the diva says ”Yes I do”. ”You know what it is heh heh”. PHOTO credit: : mode_maison_pr . The music industry witnessed a remarkable improvement this year with a plethora of outstanding audio releases and top standard videos. The trendiest Cameroon hit this year was by the ‘Bayangi Boy’ Stanley Enow who dropped a South-side patterned club-banger titled ‘Hein pere’. After severing ties with Tony Nobody’s Blaxity Label, the rapper hibernated for over a year refining his art. In a snail-pace growing music industry in which most urban artist were almost discontinuing their careers, Stanley Enow’s tremendous success with just one hit ‘HEIN PERE’ raised the hopes that were fading embers. It was indeed a revolution that deserves an accolade. Stanley Enow is a quintessence of an indomitable personality; I remember he told me a few weeks before dropping the song that ” the song will be a hit’. With the emergence of rappers like him and Jovi, street credibility is deeply embedded. The industry looks promising. With over 90,000 views on Youtube ,enormous downloads and ever-increasing street credibility,Motherland Empire CEO Stanley Enow is definitely the most trendy Hip Hop artist in Cameroon at the moment. Heinpere is the buzzword and a lifestyle in Cameroon. On est high pere T-shirts and snapbacks are now available via www.thirstyclothing.com . As a sign of tribute, South-West raised R&B singer SteveSlil just did an RnB cover of the song. Steveslil is presently gearing to drop his long-awaited Ebangha video in the days ahead. Stanley shall be performing today at Katios Night Club Yaounde. Stanley Enow a.k.a Bayangi Boy is the most talked-about urban artist at the moment. Following the release of his street anthem ”Hein pere”, he has been getting enormous media attention. Here is an interview he accorded talking about his single ”Hein pere ” off the album ”soldier like my papa”. Courtesy of Ebene TV. Stanley Enow is inevitably becoming an unparalelled star in the urban music platform in Cameroon. The much anticipated video of his hit song ”Hein pere” is now available for you to savour on NexDim. The video was directed by Shamak. Watch and drop your comments. Stanley Enow‘s smash hit ”Hein pere” has been gaining a resounding success in the streets of Douala and Yaounde, equally having considerable digital downloads. The ”Bayangi Boy” thrilled thousands of fans on June 6th during Congolese superstar Youssoupha’s concert that took place at Maison de Parti. 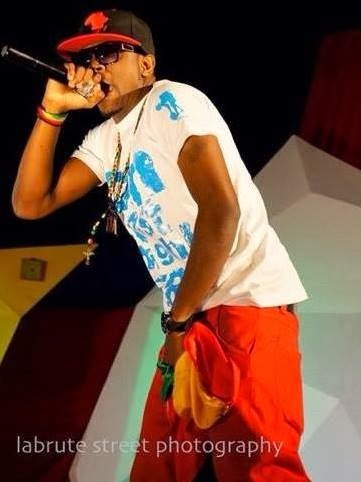 The rapper has been having a huge following in the Cameroonian urban music scene. Follow him on Facebook. and Twitter. Motherland Empire focal artist Stanley Enow is gradually making a journey outta obscurity following the release of his ear-catching hit ”Hein pere”. The Bayangi Boy is planning to unveil the official video of the song produced by Shamack in the days ahead. As a fore-taste, here is a light-hearted studio session at Brain studio -Douala where the song was recorded.